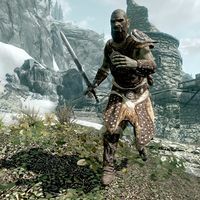 In 4E 201 the group was wiped out by the Companions, in retaliation for an assault on Jorrvaskr in which the Silver Hand had managed to kill the harbinger Kodlak Whitemane and steal all but one of the Companion's pieces of Wuuthrad. ^ a b c d e f Events of Skyrim. This page was last modified on 11 September 2018, at 17:41.